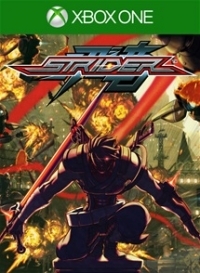 Description: The game is considered a retelling of the first arcade Strider game with elements from the NES console game. As in the arcade classic game the story tells how the Strider organization sends their best assassin Strider Hiryu to kill the villain, Grandmaster Meio, in Kazakh City. This is a list of VGCollect users who have Strider in their Collection. This is a list of VGCollect users who have Strider in their Sell List. This is a list of VGCollect users who have Strider in their Wish List.